We need a movement (no bad-taste jokes thanks folks). And I'm beginning to think that, whatever Seth Godin and all the social wonks try to tell us, you cam't synthesise a movement. You gotta wait until it spontaneously ignites (as Aale also observed recently). ITIL was a pretty unlikely hit when it happened. I suspect the next will be just as unexpected. By all means keep floating stuff but expect most to go nowhere - don't expect to predict the hit. I bet you came looking for free sources of ITIL. Come on, admit it. We the supporters of the Free ITIL Movement call upon the Cabinet Office of Her Majesty's UK Government to honour the spirit of the government's policy on transparency and public data, and the letter of the United Kingdom Government Licencing Framework (UKGLF), by releasing the Information Technology Infrastructure Library (ITIL) under the terms of the Open Government Licence (OGL). A recent blog post made me angry. This is one cause of the Dev-Ops divide: ignorance of what the other side does. I expect some of that in the trade, down at the coalface amongst Dev and Ops practitioners. I don't expect it from Forrester analysts. "Run IT as a business". What a mantra. It is of course rubbish. You run business as a business. "What if..." "What if..." So many great minds, and a few not-so-great ones, are trying to "solve" ITSM right now. It's a geek thing. It's a man thing. It was one of the great ITSM philosophers, Jan van Bon who first explained to me that Problem Management is but a special case of Risk Management. In a purist theoretical sense he is right, but on a practical level I think the distinction is useful. It is certainly entrenched. A LinkedIn discussion which I have now lost (LinkedIn having one of the worst search capabilities on the planet) asked about how to get Development to provide Level 3 support to Production incidents. It's a people problem. The world has really screwed up with owning IT, like a bad parent screwing up a child's upbringing and letting them develop bad habits. The problem with too many ITSM consultants is that they are binder-chuckers. ITSM consulting is not about inventing a process. It is about enacting cultural change. 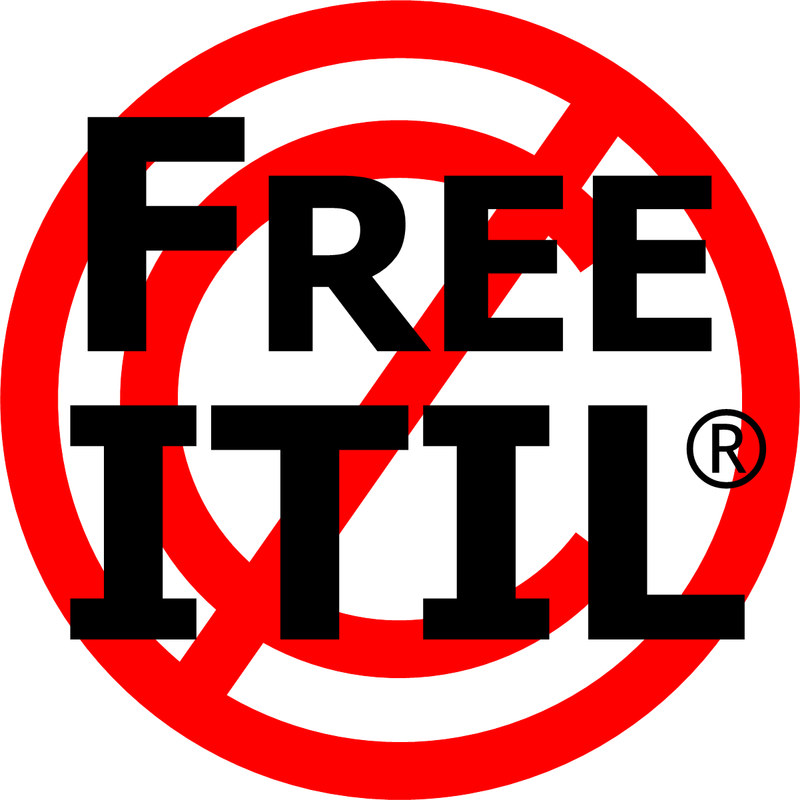 Further to my recent post on Free ITIL, several people are still asking "Why? ", so let me elaborate a little on why it should happen and why you should support the idea. 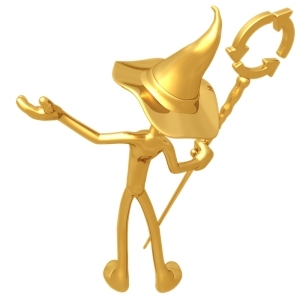 The online world is used to free content. In many minds, this has come to mean free as in free beer not free as in free speech, i.e. gratis not libre. This is unfortunate but not part of the discussion today. Here we are talking about free libre content. It is how the 21st Century world will work. Too many software vendors stretch the facts when claiming ITIL support in their products. Perhaps they misunderstand ITIL. When IT advice is being handed out, by frameworks and books or by the chattering internet, there is much talk about the importance of having "executive support". It is tossed about in lots of contexts that involve cultural change or process improvement - my own one just happens to be ITSM: ITIL V3 etc. This is one of the most repeated glib statements in the IT world. What if you don't? Finally some sensible use of social media in service management! The recently announced prISM "professional recognition for it Service Management" is great in theory but I fear it is flawed in execution. Knowing how Rob loves the CMDB ;) I thought I should publish my latest survey results here instead of ITSM Portal. It is always a wonderful experience to meet members of our virtual community in person, and I get not one but four opportunities to do that in coming months. The response to calls for an open ITIL has been disappointing, but perhaps should have been expected. It amounts to a single-digit salute from the Brit. Gov. Do you think OGC and OCEG went to the same design firm for their logos? The itSMF International Board has settled down for the year, after the departure of Michael Kum. Wanted: an IT organisation to test the hypothesis that improving configuration procedures (and team) with some proper cultural change (not decree) will lead to the same benefits as implementing a CMDB, but at much lower cost. When you are a company of one, there are limited opportunities to test your IT strategies. So let me share one with you readers for feedback. This year Two Hills Limited is going Cloud. I got a piece of spam today that staggered me with its stupidity, before it gave me a good chuckle. It's bad enough to share. Whither Castle ITIL in 2011?